It may not have been the largest terror bird on the block, but still, an encounter with Llallawavis scagliai was no laughing matter. To add to the fearsome sight of its bone crushing beak, scientists now suspect this terror bird let out exceptionally low-pitched cries when it encountered prey. Terror birds (specifically carnivorous, flightless birds which topped out at over ten feet tall) became apex predators in South America following the extinction of the dinosaurs 65 million years ago. Llallawavis, described in the latest issue of the Journal of Vertebrate Paleontology, stood about four feet tall and lived in Argentina during the Pliocene epoch some 3.5 million years ago, towards the end of the terror birds’ reign. 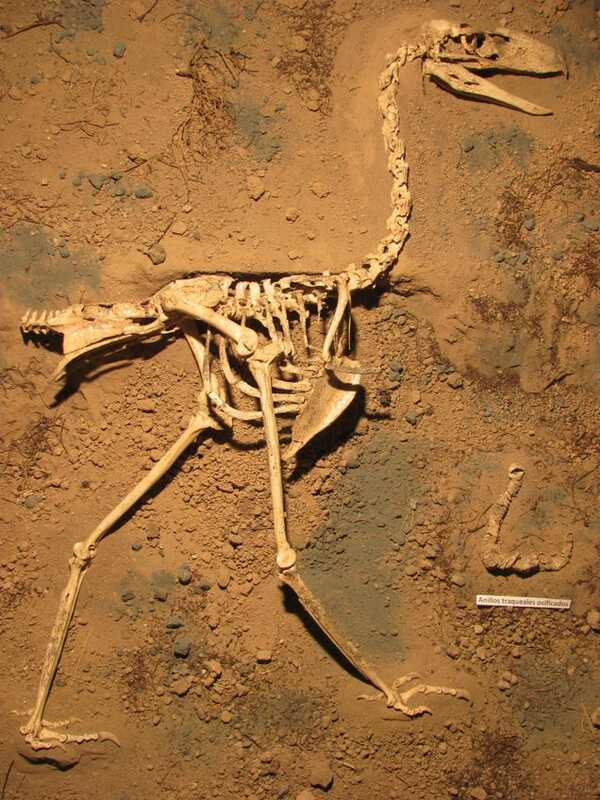 It boasts the most complete terror bird skeleton ever discovered, with more than 90 per cent of its fossil bones in a state of exquisite preservation. Skeleton of Llallawavis scagliai . Credit: M. Taglioretti and F. Scaglia. Llallawavis’s discovery sheds new light on how this clan of massive predators interacted with their environment. The specimen’s exceptionally well-preserved skull has an identifiable auditory region, voice box, trachea, and complete palate. These features allow for unprecedented study of terror birds’ sensory capabilities. For instance, by reconstructing the shape of its inner ear, paleontologists have determined that Llallawavis was particularly sensitive to low-pitched sounds. “This seems to indicate that Llallawavis may have had a narrow, low vocalisation frequency range, presumably used for intraspecific acoustic communication or prey detection,” said lead study author Federico Degrange in a statement. As scientists continue to study Llallawavis, we can expect to glean more insights into the lives of these fascinating beasts. But I think we know enough to say with confidence that for much of the Cenozoic, South America was a terrifying place to be.